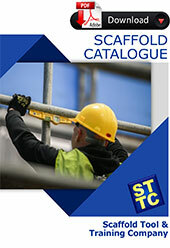 Scaffold Tools - everything you need! Scaffold Training - get your scaffold ticket now! The Scaffold Tool & Training Company also specialises in providing efficient, friendly and fully accredited training in Basic Scaffolding, Intermediate Scaffolding and Advanced Scaffolding on a weekly basis to high risk work level requirements in accordance with VRQA (Victorian Regulatory Qualification Authority), AQTF (Australian Quality Training Framework) and NTIS (National Training Information Service). We also provide training in Forklift as well as other industry related courses. Access Scaffolding will DELIVER, ERECT, DISMANTLE & PICK UP your aluminium & steel scaffolds. Contact Access Scaffolding NOW on 1300 133 922 or click on the link for a free quotation or on-site inspection.